The Index Card Summary of "So Good They Can't Ignore You"
Cal Newport incisively speaks to the millenial heart that has been somewhat misguided by the role models of our day with the prompt to "follow your passion". We're told to just identify something we like doing, that we're good at, and that people are willing to pay for. Simple, right? But if it were simple, college kids would not be picking up every single leaflet at every job fair. There would not be nearly so many applying to strategy consulting jobs. We'd all be on "a mission from God," Blues Brothers style. In fact, it seems to be the vast minority of people who have charted out a specific interest from a young age and don't miss a beat on the way to med school or engineering. The secret truth is, most of the highly successful people we know didn't experience the ven diagram above simultaneously, but sequentially. 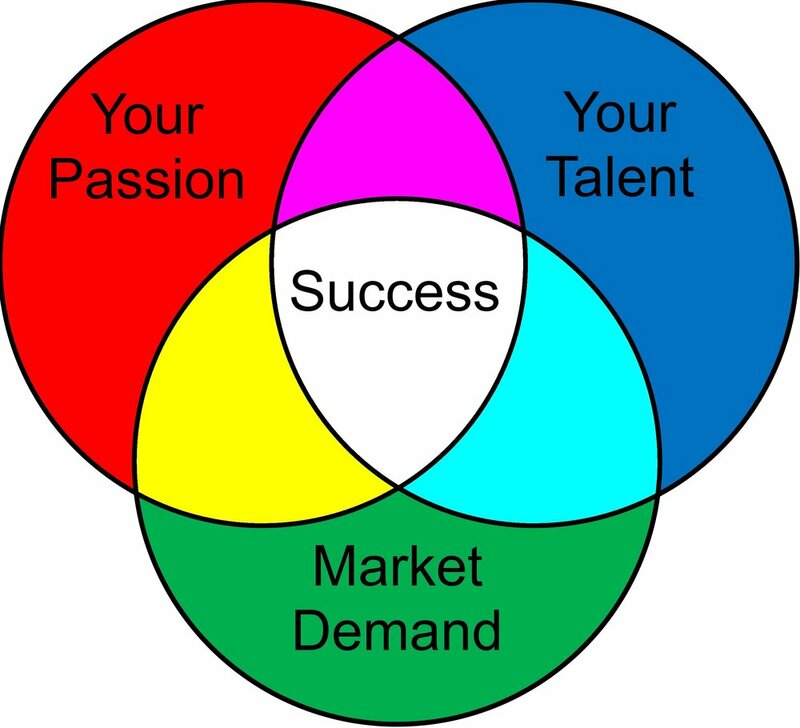 The order is 1) Develop a talent, 2) Prove out market demand, then 3) Experience the passion that comes from being skilled and the autonomy that comes with carving out a market niche. Here is how Cal Newport breaks it down. Know your market: success requires that you knowing what kind of "game" you're playing - is it an auction market, or winner-take-all? 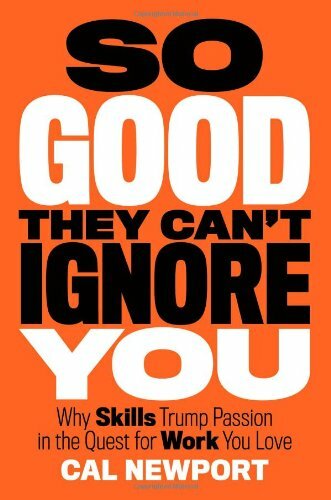 Once you achieve exceptional skill, you can then command more autonomy, an essential element to satisfying work. Unfortunately Cal Newport observed in his research that this is typically they point when employers push back on unique demands from the highly skilled, since it means ceding more of the value generated by the employee to the employee. But the uber-skilled seem to win out in the end. So the moral of the story, as Lin Manuel Miranda attributed his success to, is to pick a lane and start running ahead of everyone else.